Mary Jo Sheppard Elementary School will be welcoming a new principal for the 2018-19 school year. 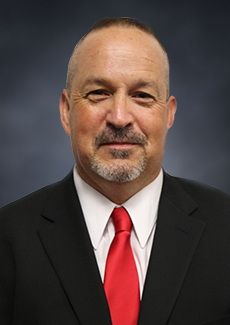 The school board approved Darrell LeJeune to be the next leader of the campus. The school was previously under the leadership of Dr. Lylia King, who retired in December. Alma Martinez, a retired longtime educator in the district, was named interim principal until the end of the present school year. LeJeune began his teaching career in Mansfield ISD as a third-grade teacher at Tarver-Rendon Elementary School. In 2006, he moved to Mary Lillard Intermediate School to teach science and math. After relocating to another district, LeJeune returned to MISD in 2014 as an instructional specialist at Cross Timbers Intermediate School. He most recently served as assistant principal of Tarver-Rendon Elementary School and Kenneth Davis Elementary School. The 16-year educator earned his bachelor’s degree at Texas Wesleyan University and his Master of Educational Leadership from The University Texas Arlington. He also hold holds four certificates with the State Board of Educator Certification. LeJeune’s official start date is July 16.